So I saw this cool trench coat on Punkdesign.shop, here is the link. Now if this is something that you are going to wear all the time, or at least not just on Halloween, then it is definitely worth it to spend the money. 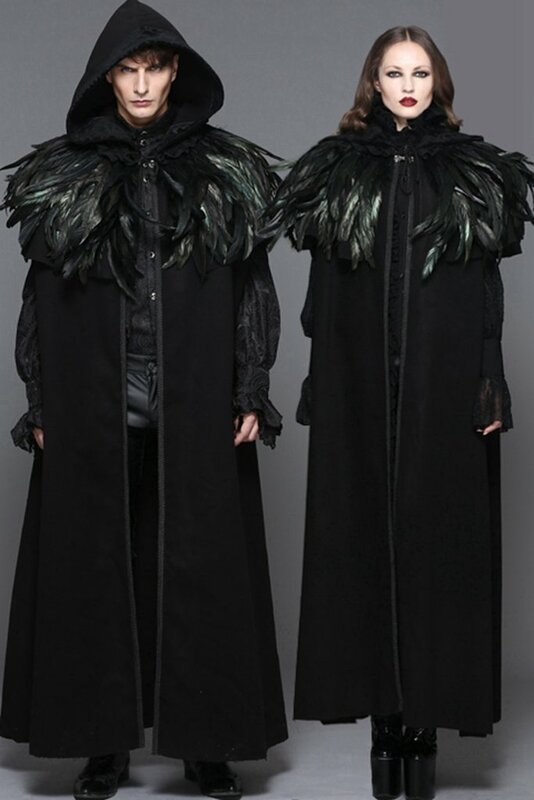 But if you are just looking to go goth for Halloween with this sort of thing then you could just make yourself a cool black feather cape and wear it on top of a long black coat. 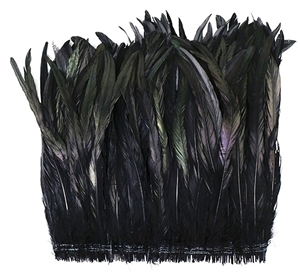 It is actually very easy using feather fringe some black cloth and a hot glue gun. The thing is if you want to make this bigger you need to attach a few rows of feather to the cloth, other wise you could just use the fringe as is. Remember that you need to attach the bottom fringe to the cloth first. Here is a video showing how it's done the old fashion way but it gives you a good idea.